Little Joe is a new biannual publication looking at film from a different perspective. It is a direct move away from the traditional method of reviewing all current and future releases towards a more selective and eclectic focus on films that inspire alternative discourse. 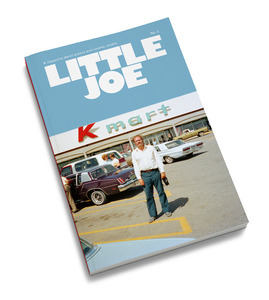 "While it may be only on the second issue, Little Joe has already earned itself a cult following... The magazine documents both the emergent history of gay film, how it evolved, what it meant and where it stands today."